Best thing about the whole event tbh. 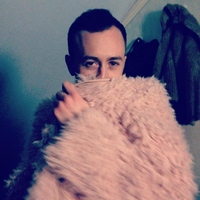 We know a few things about Olly Alexander. For example, we know he has an appreciation for PopBuzz memes and his bum "is still doing great things". Iconic. Another thing Olly Alexander is keen on is live-tweeting award ceremonies. You might remember his hot takes on the VMA's back in August. And let's not forget his tweets from backstage at the Brit Awards in February of this year. Well, Olly was back at it again for the MTV EMAs and he didn't disappoint, although it took a fan request to get the ball rolling. Olly had a lot of time for the host Bebe Rexha and her hairy horse shoe thing. Bebe singing to a giant furry horseshoe is the best thing I've ever seen #MTVEMA !!!! In the duller moments of the show, he took time out to appreciate prime man candy Colombian pop star Maluma. He started to regret his actions. Yet still had time to deliver golden nuggets of pop gossip like this. However, as the famous philosopher Nelly Furtado once said, all good things must come to an end. Wow. What a wild ride. Thanks Olly. We'll be expecting more live-tweeting action for the rest of award season. We'll send you some corn to help you with your duties. We got this, hun. Why not watch Olly react to YouTube comments of Years & Years music videos? Lolz ahoy!